Russian President Vladimir Putin sent New Year greetings on Friday to the people of the United States and US President-elect Donald Trump, his press office said. MOSCOW (Sputnik) — The Russian president also extended greetings to the outgoing US president, Barack Obama and his family, but added he regretted Obama's decision to expel Russian diplomats in his waning days in the White House. "I congratulate both the president-elect, Donald Trump, and the entire US nation! I wish you to be well and prosper," the Russian leader was quoted as saying by the Kremlin press office. Putin expressed hope that after Trump's inauguration the two countries would take real steps toward restoration of the bilateral relations, the Kremlin press service said Friday. 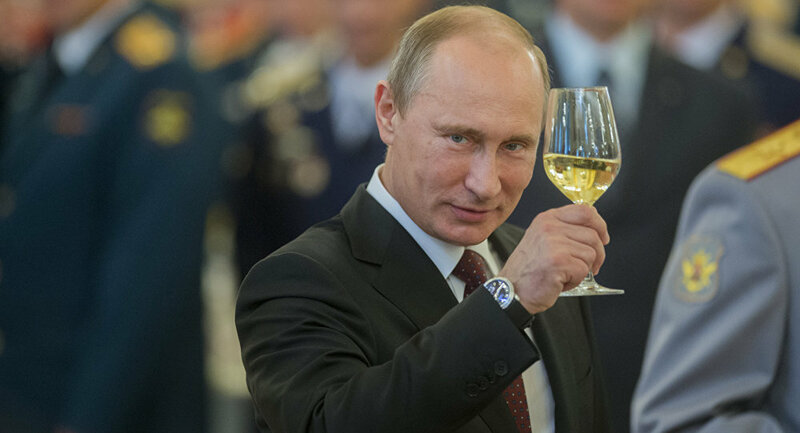 "In the greeting message, the Russian leader expressed hope that after Donald Trump's inauguration, the two states, acting in a constructive and pragmatic manner, would be able to take real steps to restore the mechanisms of the bilateral cooperation in different spheres and bring the cooperation at the international arena to a new level," the press service said. "Serious global and regional challenges, which our countries have faced in recent years, are clearly demonstrate that the Russia-US relations remain an important factor for preserving stability and security in the world today," Putin's message reads as quoted by the press service.